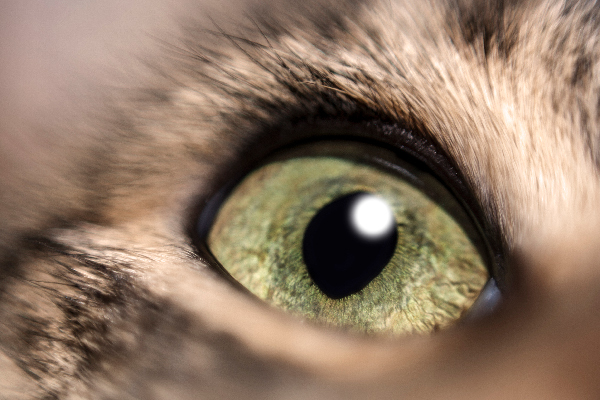 What Is Your Cat’s Third Eyelid? And What Should You Do If Your Cat’s Third Eyelid Is Showing? Did you know that cats have three eyelids? So, what is your cat’s third eyelid, and does seeing your cat's third eyelid ever indicate a health issue? Did you know that cats have not one, not two, but three eyelids? The first two eyelids are similar to ours — one on the top and one on the bottom that meet in the middle of the eye when the lids are closed. The third eyelid, also known as the nictitating membrane, is a retractable membrane located in the inner corner of each eye (closest to the nose). First, What Is Your Cat’s Third Eyelid? 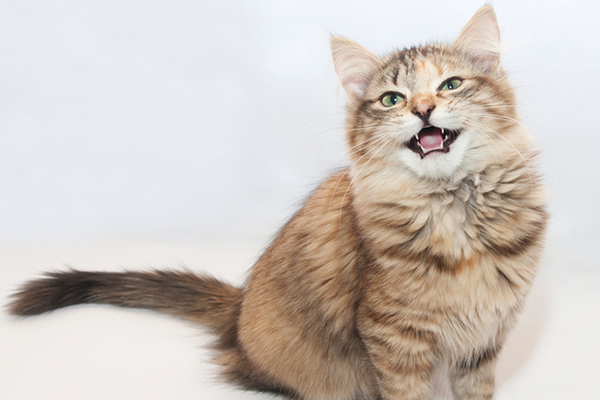 A cat’s third eyelid acts like a windshield wiper against debris, pollens, dust and more. Photography © Bloodsuker | iStock / Getty Images Plus. Why Don’t You Usually See a Cat’s Third Eyelid? Usually, you don’t really see a cat’s third eyelid because it’s hidden from view when retracted inside the corner of the eye. Sometimes, you might be able to see the third eyelid if your cat is very relaxed. For instance, if your cat just woke up from a deep sleep or was sedated for a surgical procedure, you might catch a glimpse of the third eyelids of both eyes. When Does Seeing Your Cat’s Third Eyelid Indicate a Problem? 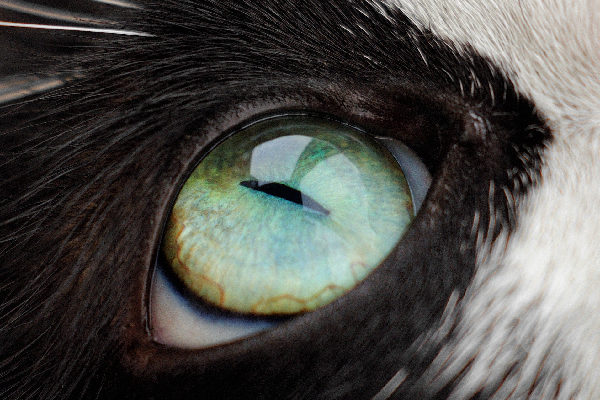 You don’t usually see your cat’s third eyelid — and if you do, it might indicate an issue. Photography © Creative_Improv | iStock / Getty Images Plus. Most often, however, if you can see your cat’s third eyelid, it indicates a problem — either something is wrong with the eye or third eyelid itself, or possibly another health issue might be at hand (often, a sick cat). Many cat eye conditions cause the third eyelid to stick out, including conjunctivitis or pink eye (inflammation of the eye membranes), corneal ulcers (damage to the corneas), glaucoma, uveitis (intraocular inflammation), masses growing on the third eyelid and Horner’s syndrome (a neurological disorder of the eye and facial muscles). 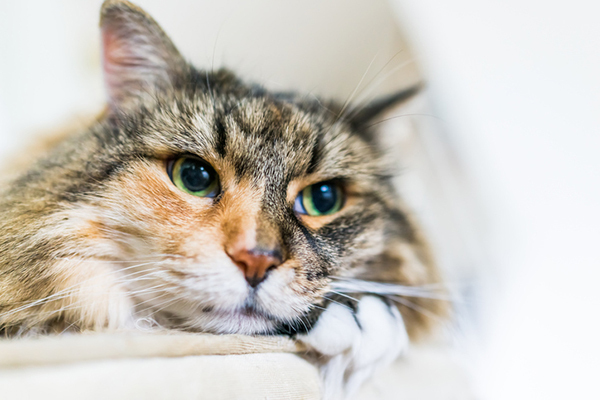 What Should You Do If You See Your Cat’s Third Eyelid? If you see any part of one or more of your cat’s third eyelids, you should bring her in to the veterinarian for an exam. If one third eyelid is showing and the other is not, that eye might be experiencing an issue. If both third eyelids are showing, and if your cat is acting sick, it could be an indication that your cat is ill with something not necessarily related to the eye. Are there certain cats whose third eyelids show more than others? We’ve had a shelter cat for about 5 years whose 3rd lids show whenever he is relaxed. He has startlingly large eyes, making him look like an adorable Japanese anime kitty. He also has a curly tail. Pretty sure that’s not related but he is just such a wonderfully weird cat! One of my cats also shows his third eyelid a lot when he’s being scratched or brushed around the face. Please help. My cat has had third eyelid showing for 5 days. Taken to vets and initially was due to bad allergies (which are cleared now) but the eyelids are still showing and seem to be getting worse. They are almost covering entire eye. We are giving him eyedrops (vet subscribed) but no impact. We have also been back to the vet twice (different vet 3rd time) and they have given him the all clear. Is this normal? There is a stray cat I feed with other cats who just recently is showing signs of third eye in both eyes, she doesn’t appear to be ill but know she just gave birth and is at the moment feeding her young. I wouldn’t be able to catch her but I am worried if she is in any danger and if her eyes would go back to normal. One of my cats once got in a fight and her third eyelid got scratched, in the process. It was hanging loose for several days. I took her to the vet and she had to have antibiotic eye drops in the eye for a couple weeks. After about a month, you couldn’t tell that anything had ever been wrong. I would like to pay my invoice online with a credit card. Can you tell me what screen I can do this on?